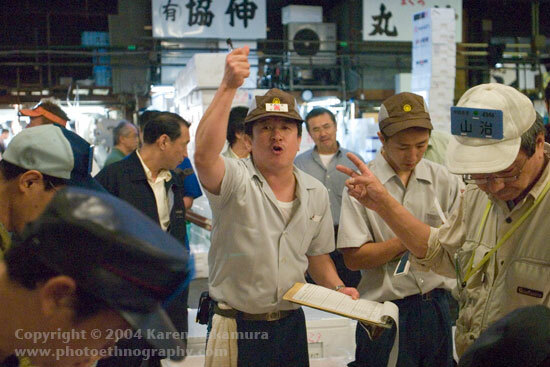 One of the online exhibits at Karen Nakamura's Photoethnography.com is a collection taken at Japan's Tsukiji fish market, one of the world's largest. Also note that there are multiple pages of photos in this collection, so if you like what you see on the first page, be sure to click the "next" button to see pages 2 and beyond. An fish auctioneer at work.